Sunscreen People Love to Wear. High-performance sun protection. Perfect for all ages and skin types. BrightGuard Natural Sunscreen Lotion SPF 30 provides superior skin protection with broad spectrum UVA/UVB sun protection in a lightweight, non-greasy formula, ideal for outdoor skin protection for the active family. 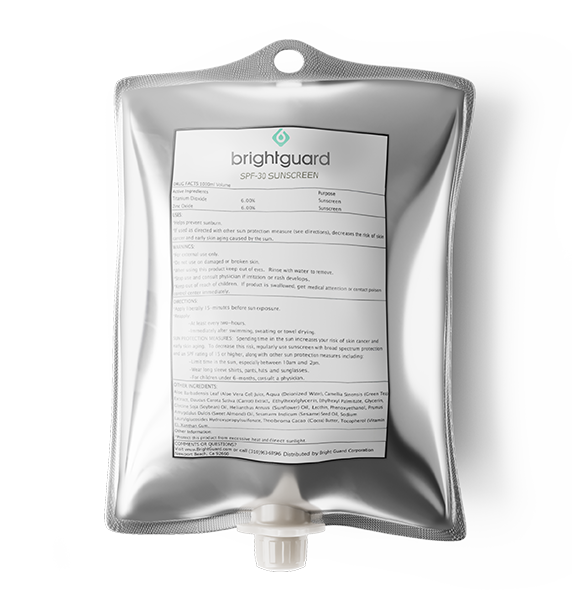 BrightGuard Sport Sunscreen Lotion SPF 30 is specially formulated to withstand vigorous activities. It provides superior broad-spectrum UVA/UVB protection that resists wear off from water, rubbing, sweat or wiping. BrightGuard Coppertone® Sport Sunscreen Lotion SPF 30 is specially formulated to withstand vigorous activities. It provides superior broad-spectrum UVA/UVB protection that resists wear off from water, rubbing, sweat or wiping. SPF 15 Sunscreen is specially formulated to withstand vigorous activities. It provides superior broad-spectrum UVA/UVB protection that resists wear off from water, rubbing, sweat or wiping.